Taking advantage of the new EMP2 platform, means there is a reduced overhang (-70mm at the front); a lower engine block (-40mm to -50mm) and floor (-20mm) and wider tracks (+82mm at front and +31mm at the rear). The side signature, a C shape in chrome, adds personality to the side profile. The assertive front end features new look chevrons which extend out to spectacular hi-tech lights. Slim LED daytime-running lights, positioned just above the headlamps, flank the radiator grille. 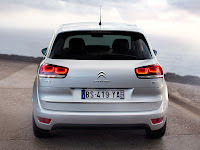 Fog lamps complete the very original light signature. 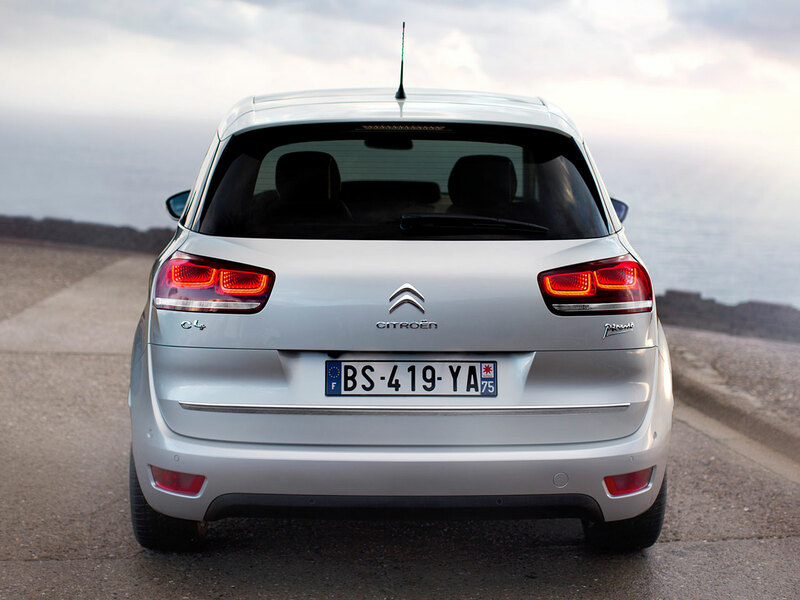 The rear LED lights, inspired by Citroën’s concept cars, create a futuristic 3D effect, whilst the enveloping tailgate conveys roominess, strength and dynamism. New C4 Picasso will be offered in a range of eight colours from Shark Grey, Aluminium, Hickory Brown and Obsidien Black to radiant Ruby Red, Teles Blue and Kyanos Blue. A range of Alloy wheel designs are also available in three sizes – 16”, 17” and 18”. With the exclusive Lounge Pack, travelling becomes a first class experience with front massage seats, a ‘Relax’ seat that lets the front passenger stretch out their legs and a Relax headrest on all seats for comforting neck support. The asymmetric design dashboard combines several complementary colours and materials. The driver’s side is primarily black fading to a lighter shade on the passenger side with a sparkle effect finish. Satin-finish chrome and gloss black inserts enhance the overall effect. Particular attention was also given to the door panels with the crossbar featuring an original laser engraved pattern. 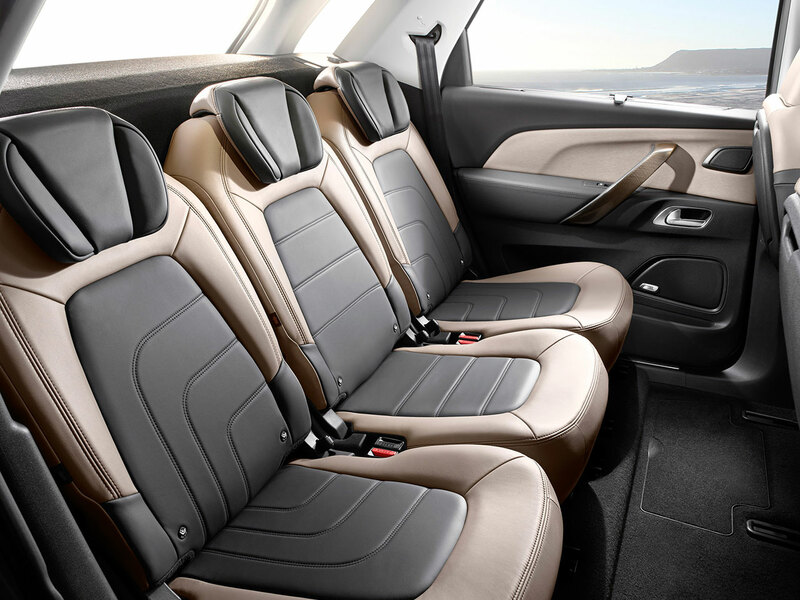 The graphic effect on the seat design gives the front seats the appearance of a one-piece bench. With an emphasis on elegance and comfort, a light-coloured Nappa leather is also available. 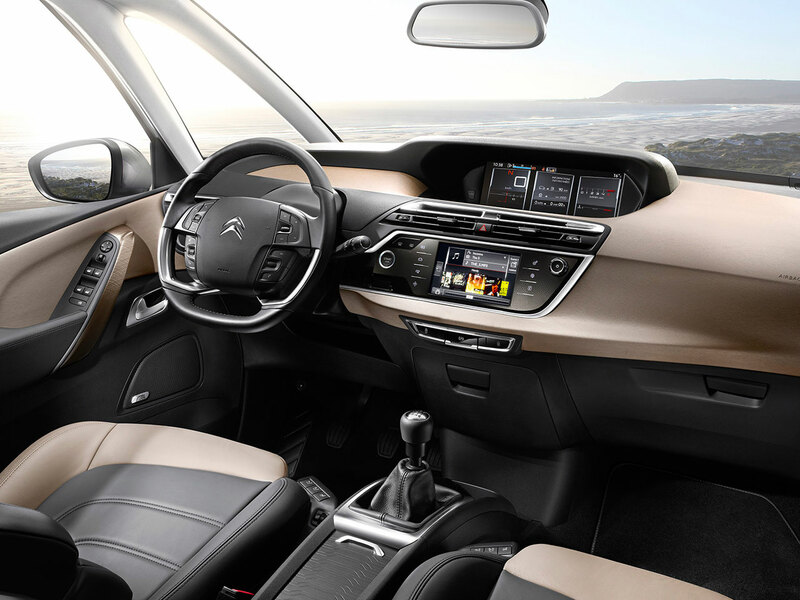 New C4 Picasso’s full digital driving interface is both intuitive and attractive with the uncluttered dashboard structured around two screens – a 7” touchpad and 12” panoramic HD screen. The brand new standard 7” touchpad features seven touch-sensitive buttons and controls all the in-car functions such as dual-zone air conditioning, navigation, audio, telephone and driving aids. A 12’’ panoramic HD screen displays essential driving information and can be configured by the driver at any time to show data for either the navigation system or driving aids. A personal photo can even be displayed using a USB as a screen backdrop. The car becomes a real home from home. Available from 2014, drivers will also have access to Citroën Multicity Connect, a portal of connected applications controlled from the 7” touchpad. The system provides information such as the nearest fuel station, hotel or restaurant, weather updates or traffic reports. Beyond useful everyday functions such as key less entry and start-up, motorised tailgate and reversing camera, New C4 Picasso features a range of innovations making driving easier and more enjoyable. 360 VISION is an exclusive feature in the segment. Using four cameras around the car to give drivers a bird’s eye view, a rear view or a panoramic front view. The system provides a complete view of the car’s immediate environment, enabling an extended field of vision that makes for easier manoeuvres. PARK ASSIST is a valuable aid that provides automatic assistance when manoeuvring into a space, whether parking in reverse or at an angle. All the driver has to do is to manage acceleration and braking. With the new modular EMP2 platform offering a longer wheelbase and increased cabin space, the New C4 Picasso is more compact on the outside with more space on the inside than the previous generation model, setting new benchmarks for the segment. New C4 Picasso is 40mm shorter but with a 55mm longer wheelbase for class-beating interior space. Boot space is increased by 40-litres to 537-litres VDA – the best in the segment – and expands up to 630-litres with the rear seats pushed forward. The optimised dimensions – 4.43m L, 1.83m W & 1.61m H – with electric power steering and a 10.8m turning circle mean New C4 Picasso is agile enough to adapt to all driving situations. 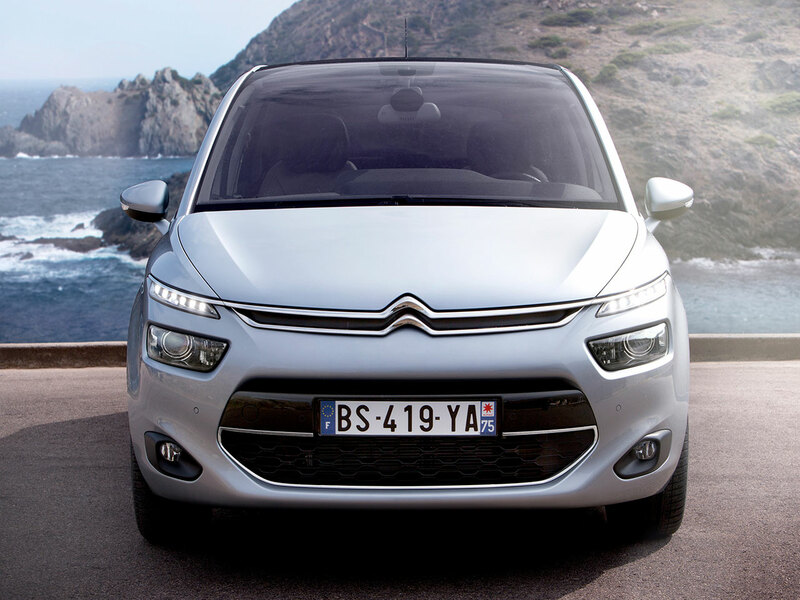 New C4 Picasso also sets new standards of modularity. The front passenger seat folds forwards to increase load space by more than 2.5m whilst extending the view for rear passengers. 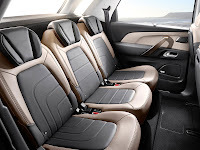 Rear passengers also benefit from three individual, full size seats that can be folded flat or tilted for increased comfort or fore-and-aft adjusted for increased flexibility. Knee space (159mm) is on a par with the best-in-class. There are a number of clever and convenient storage spaces around the cabin including LED illuminated compartments in the central dashboard with an AUX-in, USB port and 220V socket – ideal for stowing devices whilst charging. On clutch less versions there is a removable console, mounted between the driver and passenger seats with numerous other storage spaces under the seats and in the doors. 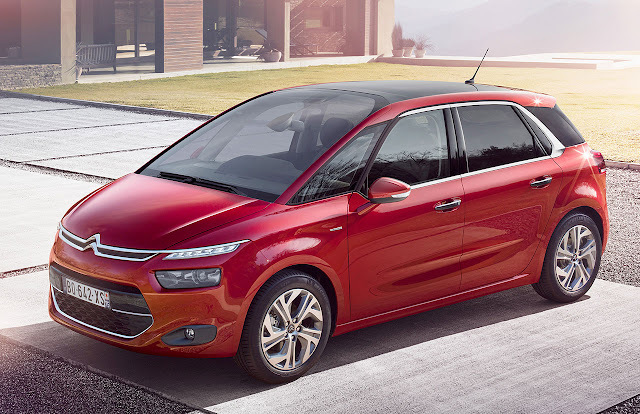 The New C4 Picasso is 140kg lighter than its predecessor thanks to the new EMP2 platform, which uses aluminium, very high yield strength steel and a composite rear floor cut to weight by 70 kg. The body style cuts a further 70 kg through optimised exterior dimensions and new materials such as an aluminium bonnet and composite tailgate. 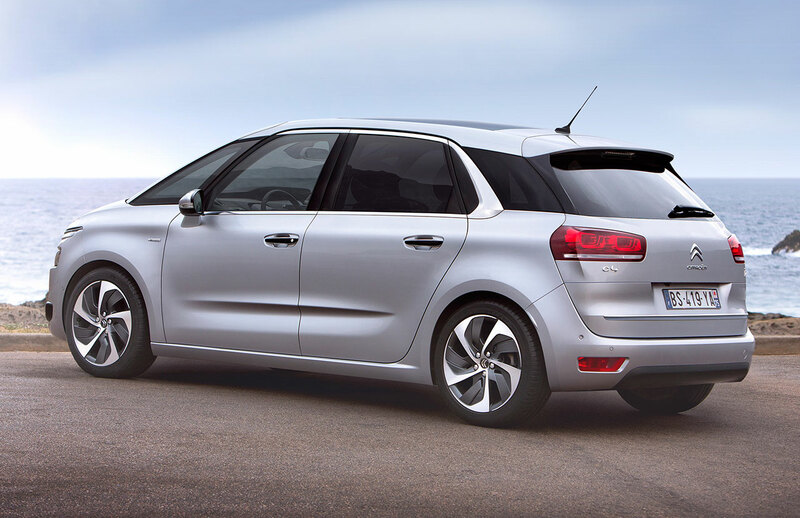 The significant weight loss means New C4 Picasso now weighs the same as the C3 Picasso. The reduced weight, emphasis on aerodynamics (CdA of 0.71) and optimised engine range significantly improves efficiency with emissions falling by an average 30g/km compared to the previous generation model. At the same time, New C4 Picasso is the first compact MPV with an internal combustion engine to deliver sub-100g/km CO2 emissions. The e-HDi 90 Airdream engine, mated to the new 6-speed clutchless gearbox, emits just 98g/km with fuel economy of 74mpg – a record in the class. Stop & Start technology is fitted on all diesel units with the exception of the HDi 90 manual. The popular e-HDi 115 engine emits just 104g/km CO2 with the 6-speed clutchless gearbox, 105g/km with the manual and delivers 70mpg. New C4 Picasso will be the first Citroën model available with a BlueHDi engine meeting Euro 6 standards. The BlueHDi 150 emits just 110g/km of CO2 and features an SCR module (selective catalytic reduction), currently the most efficient technology for treating NOx (- 90%) and cutting CO₂ emissions in all situations. Alongside the 6-speed manual gearbox, a new 6-speed clutchless gearbox is available. The ETG6 (6-speed Efficient Tronic Gearbox) delivers improved performance and can be integrated into the e-HDi 90 and e-HDi 115 engines. Drivers can switch from manual to automated mode at any time. The new gearbox features a creep function and optimised pedal mapping, adjusting power effectively for smoother start-ups and enhanced driveability. Gear change speeds are modulated more precisely, based on driver input, for improved performance and comfort. Optimised gear shift patterns improve efficiency further. An automatic 6-speed gearbox will also be available from first-half 2014. 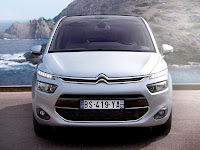 The new generation C4 Picasso maintains the recognised comfort of the model line with improved handling and easier manoeuvrability. The reduced weight and lower centre of gravity establish a new balance between comfort and road holding for improved driveability, safety and suspension. Shock absorbers positioned vertically and a vertical axle bolt above the centre of the wheel. Fitted on all models, Intelligent Traction Control improves traction on low-grip surfaces, providing comfort and control in all circumstances. Active cruise control with a radar sensor in the front bumper maintaining a constant distance with the vehicle in front by detecting slowdown in speed and warning the driver. The system acts on the accelerator and engine brake to reduce or increase speed within a limit 15.5mph. When the road is clear, the car automatically returns to the set speed. Active driver and passenger front seatbelts with motors that pull the belt tight automatically in the event of danger. At the same time, in relation with the video LDWS (Lane Departure Warning System), the belt vibrates to warn the driver if the car crosses a line. An image processing function for the miniature camera built into the rear view mirror, to manage automatic high beam operation, i.e. automatically activating and deactivating high beam lights depending on lighting and traffic conditions. This function is also used by the new-generation more predictive lane departure warning system (video LDWS). An ultrasonic blind spot monitoring system with an orange light in the door mirror that warns drivers if a vehicle is present in their blind spot. Relying on four sensors in the front and rear bumpers, this system is active from 7.5mph – 87mph, scanning the area up to the exterior door mirror at the front, extending to around 5m behind the rear bumper and 3.5m on either side. 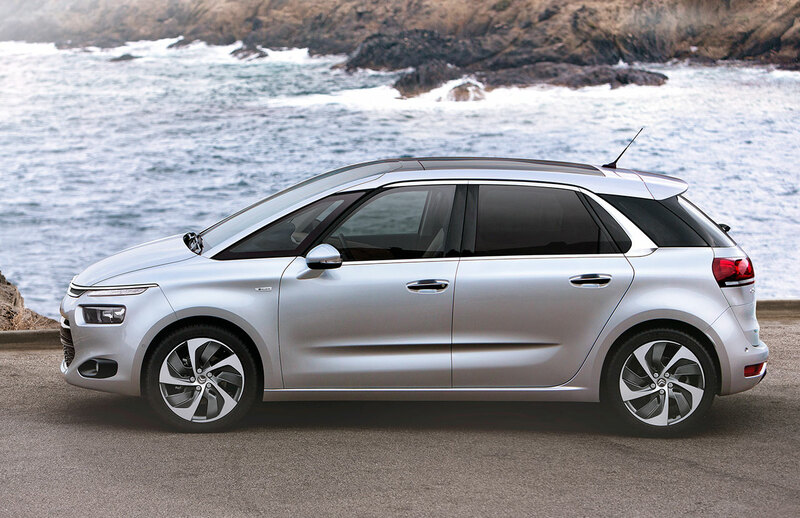 Citroën eTouch, which provides localised emergency call and assistance (depending on the country), two free 24/7 services relying on a built-in SIM card, which ensure that the vehicle can be located promptly and assistance sent out in the event of an incident or accident.